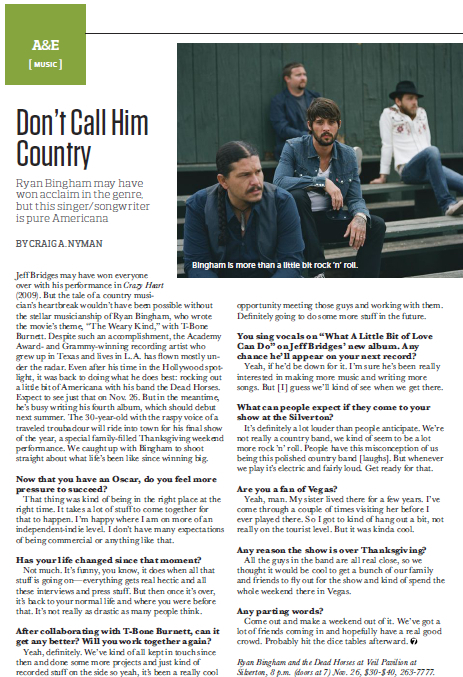 My interview with Grammy and Oscar winner Ryan Bingham | Do You Hear The Music? Recently I had the pleasure of interviewing Ryan Bingham for his show this evening at the Silverton in Las Vegas. The interview was published this week in Vegas SEVEN and you can click HERE to read it. If you’re in Vegas tonight, you won’t want to miss this show, it’s going to be a rocking good time.